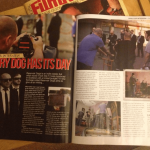 In June I was approached by director Colin Ross Smith and producer Lauren Lamarr to shoot a shot for shot Scottish homage to the opening restaurant scene in ‘Reservoir Dogs’ to mark the 21st anniversary of the release of the film. 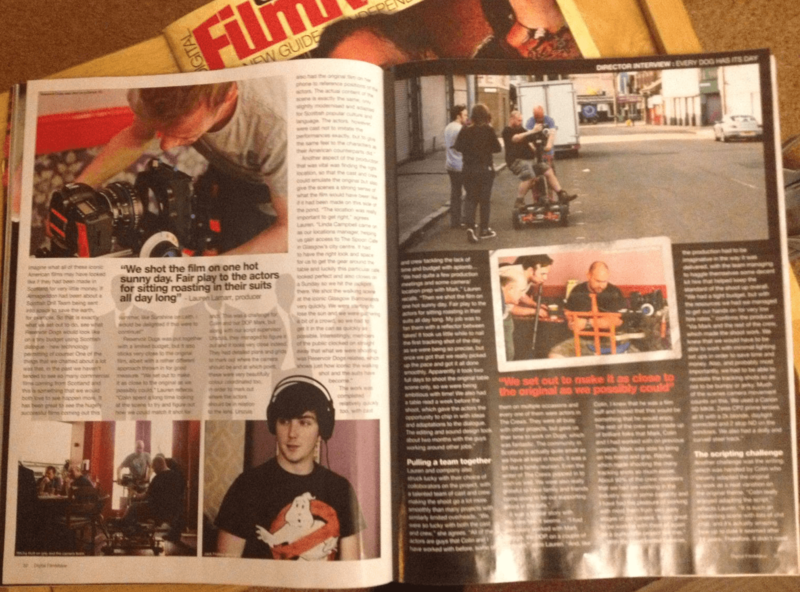 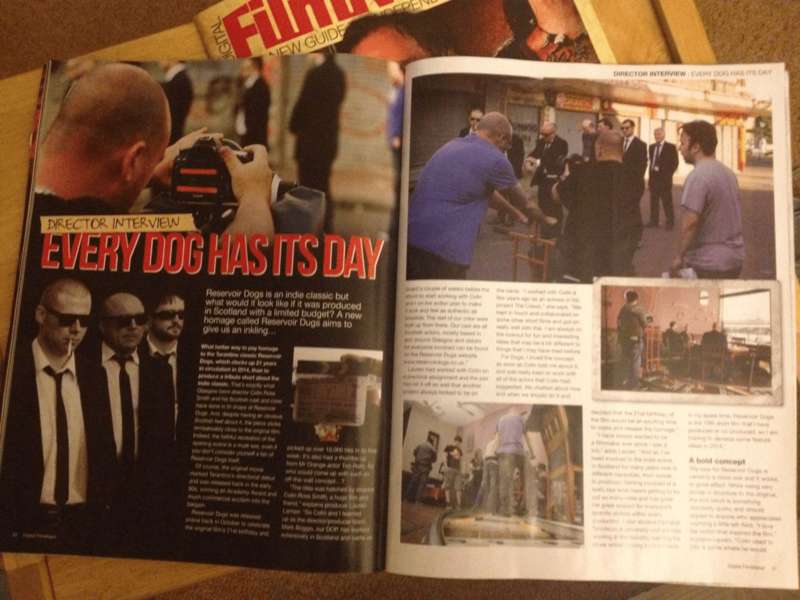 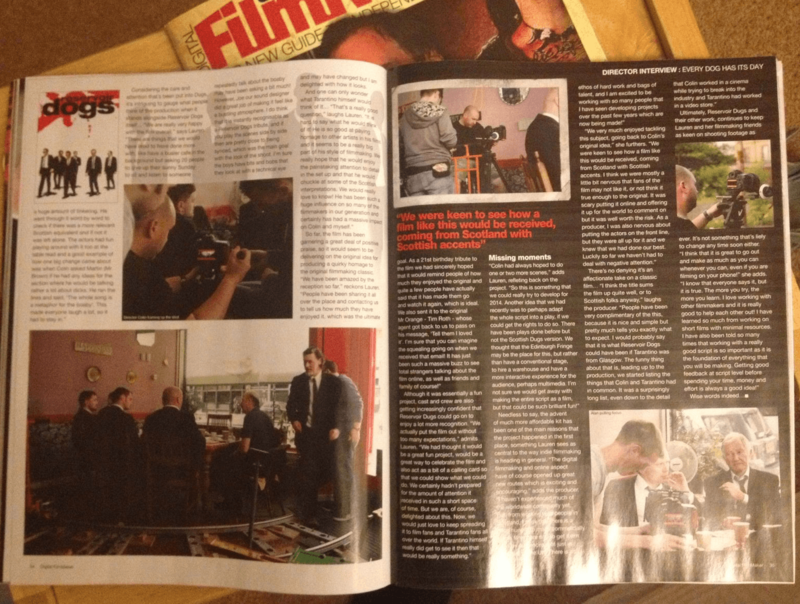 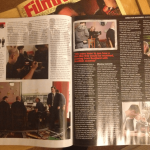 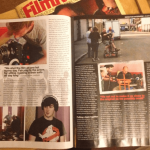 Since completion ‘Reservoir Dugs’ has been very well received and this month features in Digital Filmmaker magazine. 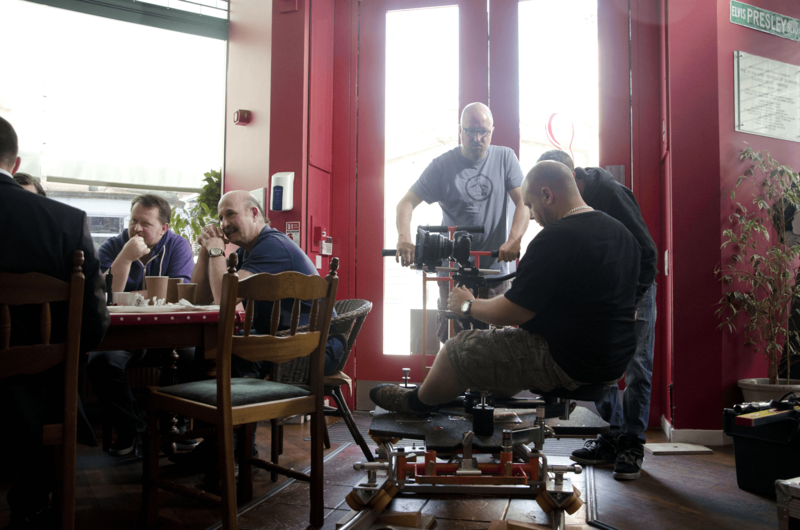 The whole film was shot on one day with minimal kit – Canon 5D Mark III, Zeiss CP2 lens kit, Roundy-Round Doorway Dolly with steel curved track and an Arri 2k Blonde (corrected). 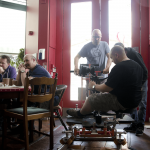 For more on the making of ‘Reservoir Dugs’ and to view the film visit www.reservoirdugs.co.uk.